Sebastian von Eschburg, scion of a wealthy, self-destructive family, survived his disastrous childhood to become a celebrated if controversial artist. He casts a provocative shadow over the Berlin scene; his disturbing photographs and installations show that truth and reality are two distinct things. When Sebastian is accused of murdering a young woman and the police investigation takes a sinister turn, seasoned lawyer Konrad Biegler agrees to represent him - and hopes to help himself in the process. But Biegler soon learns that nothing about the case, or the suspect, is what it appears. 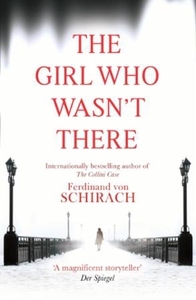 The new thriller from the acclaimed author of The Collini Case, THE GIRL WHO WASN'T THERE is dark, ingenious and irresistibly gripping.